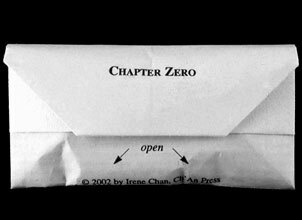 Ch'An Press ~ Washington D.C.
WSW: " As a multidisciplinary artist working conceptually in book arts, installation, and performance, Irene examines her physical and cultural environments and her experience as an Asian American woman. 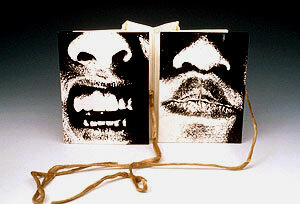 As Ch’an Press, she has self-published 29 limited-edition artist books. Irene is currently an associate professor in the Visual Arts and Asian Studies department at the University of Maryland. She holds an MFA from San Francisco Art Institute." Washington, DC: Ch'An Press, 2007. Open Edition. 3.5 x 2"; 35 loose and unnumbered cards, much like business cards. Print media on paper. Housed in a red, white, and blue paper case with slip-in envelope closure. 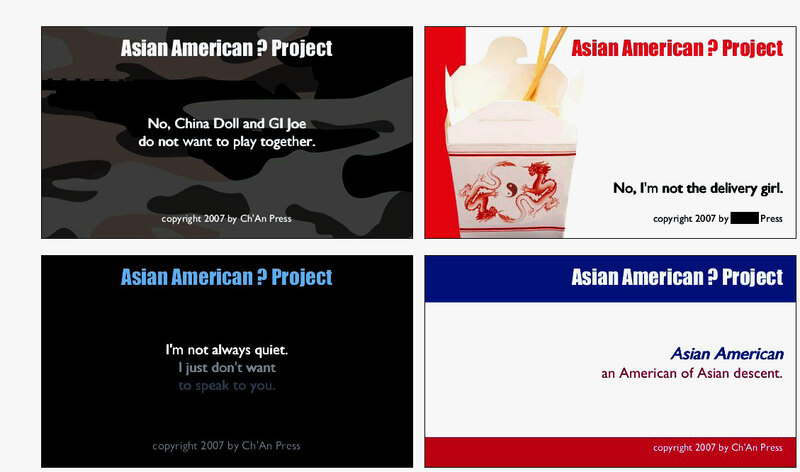 Irene Chan: "Business cards with text that respond to comments and questions that strangers ask Asian Americans. Every week since age 12, I am asked one to ten of the same questions. Since these questions and comments are common to other Asian Americans as well, I created a set of business cards to flash or hand out for the appropriate moment." Washington DC: Ch'An Press, 2000. Edition of 100. 1 x 1 x 1"; 8 pages. Miniature accordion book, with text from Dalton's Atomic Theory, 1808, and images from the Science Museum Photo Library, London, England. Housed in a transparent lidded magnifier box. Irene Chan: "In his 1808 Atomic Theory, the English scientist John Dalton described the world as composed of molecules and atoms much like a book is composed of letters and words. 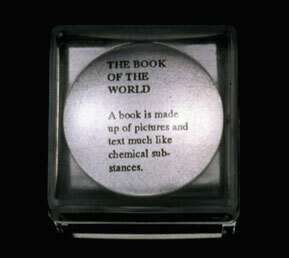 The text is on silver paper and the images are on transparent paper in magnifier boxes. 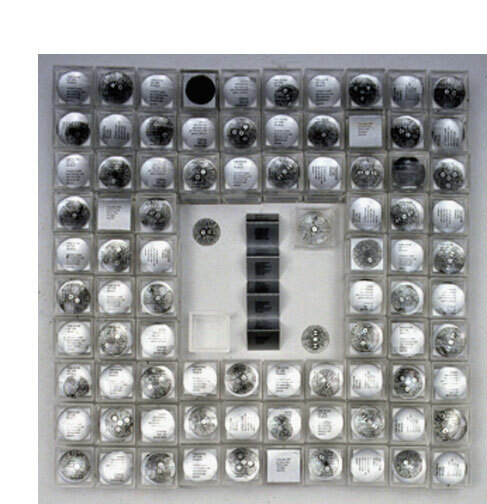 This is a series of 100 miniature books with images of Dalton's elastic fluids drawings that look like the eye." Rosendale, New York: Women's Studio Workshop, 1998. Edition of 70. 8 x 10" closed; 8 x 18" opened.Three books of silkscreens, origami folds, and dried plant matter gathered into a handmade Chinese seedpod purse. Prospectus: "Inspired by a Chinese legend that the gift of writing comes from studying the objects of nature, the images of Cè were created from collected found organic material. These forms were arranged into 'sentences' to read as visual language. Cè is about reading nature's form, gestures, and movements as written language. 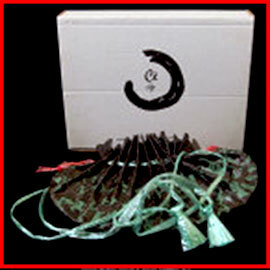 The series of books take the reader through an experience much like a Taoist philosophical journey." 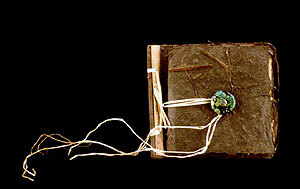 Irene Chan: "Since this all began with finding organisms and collecting these treasures into a purse, the three books of (Cè are contained in a seedpod purse. There is a Chinese legend that Huang Che in the 26th century B.C. discovered the gift of writing after studying the objects of nature. Cè is about nature's visual form as written language." Washington, DC: Ch'An Press, 1996. Edition of 25. 4.5 x 5.5" closed; 4.5 x 24 x 5.5" open. Black & white images. Three-dimensional carousel structure with five openings. Raffia tie closure. The starkness of the black and white presentation and the close-up images of body parts and openings underscore the impersonal nature of the interactions and contribute to the vaguely pornographic feel of the work. Irene Chan says simply: "Instruments and my body parts interacting." 7 x 5" closed; 7 x 5 x 11.5" open. 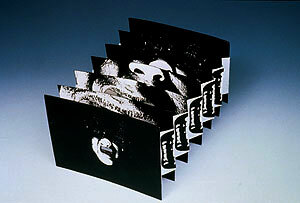 Three-dimensional tunnel book with seven pages/slats (including front and back covers). Black & white images. Irene Chan: "Mouth self-portrait images. The viewer looks through the mouth hole in the front cover and appears to be looking down my throat." Washington, DC: Ch'An Press, 1995. Edition of 10. Two books housed in 9 x 9.25" black stiff-paper wrap with four flaps on top side that fold into each other like petals for closing. 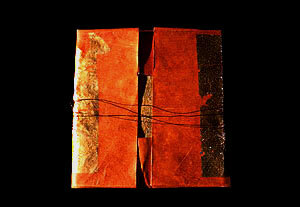 First book: 6 x 5.75"; 20 leaves; photo-etchings on melaleuca bark, poems on bamboo leaf. Bound with screw mechanism in middle of pages. Second book: 6.5 x 7.25"; 24 leaves. Photo-etchings on handmade paper. 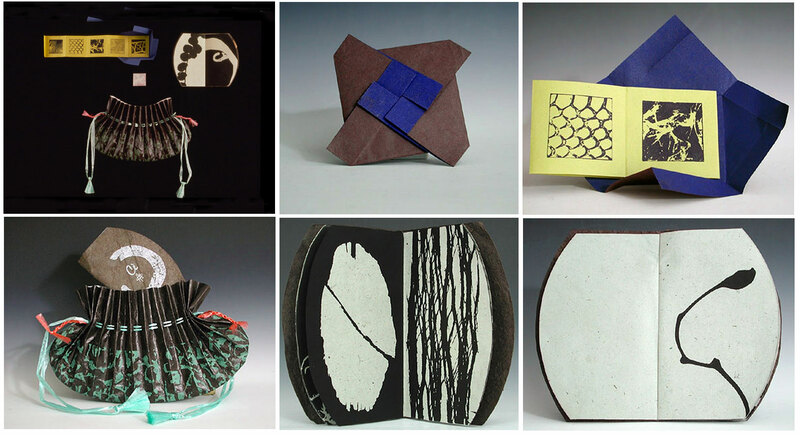 Irene Chan: "Dual books of photoetchings of nature with Taoist poems. One has predetermined order, the other has unspecified order." Washington, DC: Ch'An Press, 1995. Edition of 100. 4 x 4" square (closed); 19 loose and unnumbered leaves. Joss funeral paper bound with copper wire. Irene Chan: "Book to be torn apart and burned in ceremony honoring the deceased. Book made in process of meditation and healing." Chinese proverb: "The infinite is a square with no corners." Washington, DC: Ch'An Press, 2002. 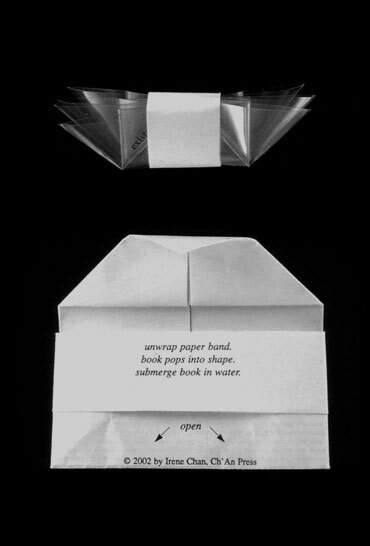 Irene Chan: "Book of text about nothingness 'pops' into shape. Immerse in water to read."